About sixty to seventy percent of all people with diabetes have some form of nerve damage, called neuropathy (or more accurately, neuropathies, since there is more than one kind). High blood sugar levels over a long period of time damages nerves throughout the body, but those in the hands and feet are most often damaged. Symptoms of diabetic neuropathy can include pain and numbness, particularly in the hands and feet, or problems with digestion, the urinary tract, blood vessels, and the heart. These symptoms can range between mild and extremely painful to the point of disability.1 This article will review some information on diabetic neuropathies (DNs), then take a look at specific dietary supplements that may help in the treatment of this problem. According to the National Institutes of Health2, DNs are most common in those who have problems controlling their blood glucose levels, those with high blood lipid levels (i.e., cholesterol and triglycerides), those with high blood pressure and those who are overweight. Other factors can also contribute to the cause. The risk increases with age and with the length of time a person has diabetes. Those who have had diabetes for at least 25 years have the highest rates of neuropathy. Peripheral neuropathy is the most common type of DN. It causes pain or loss of feeling in the toes, feet, legs, hands, and arms. Changes in digestion, bowel and bladder function, sexual response, and perspiration take place in autonomic neuropathy; the nerves that serve the heart and control blood pressure, as well as nerves in the lungs and eyes, may be affected as well. Hypoglycemia unawareness, a condition in which people no longer experience the warning symptoms of low blood glucose levels, may also occur. Proximal neuropathy results in thigh, hip, or buttocks pain, and leads to weakness in the legs. Sudden weakness of one nerve or a group of nerves, causing muscle weakness or pain, is caused by focal neuropathy. In this case, any nerve in the body can be affected. There are a number of dietary supplements with the potential to help in the treatment of DN. Some of the most promising are acetyl-L-carnitine, alpha lipoic acid, benfotiamin, gamma-linolenic acid and methylcobalamin. Acetyl-L-carnitine (ALC) is a form of the amino acid L-carnitine. Both have similar roles in helping to transport fat into muscle cells where it can be burned for energy. Also, the “acetyl” part of ALC helps produce the acetylcholine, a brain chemical, which is required for various mental functions. ALC occurs naturally in the brain, liver and kidneys. ALC has been shown to be deficient in diabetics.4 In double-blind research, type 1 or type 2 diabetics with peripheral neuropathy experienced improved symptoms after taking 1500–3000 mg ALC daily in divided doses for a year. ALC seems to increase nerve fibers, regenerate clusters of nerve fibers, and improve sensations. In patients who have pain as the most significant symptoms, taking ALC 1000 mg two to three times daily also decreases neuropathy-related pain within six months of beginning treatment. Lower doses (500 mg three times daily) do not seem to reduce pain. ALC also seems more likely to be effective for reducing pain in patients with a shorter duration of diabetes and patients with poorly-controlled type 2 diabetes.5,6,7,8 In research, the best response was associated with using 1,000 mg ALC, three times daily. Orally, acetyl-L-carnitine is generally well tolerated. One gram daily of L-carnitine seems to significantly increase the anticoagulant effects of acenocoumarol.9,10 Acenocoumarol is an oral anticoagulant similar to warfarin, but shorter-acting. This interaction has only been reported with L-carnitine, but theoretically could occur with acetyl-L-carnitine. Alpha lipoic acid (ALA) is a natural antioxidant manufactured by the body and similar to certain vitamins. Unlike most other antioxidants, however, it has the advantage of being soluble in both fat and water, so it can provide production both inside and outside of cells.11 ALA is also found in some foods, particularly liver and yeast. Giving 600 mg to 1200 mg oral or intravenous ALA daily reduced symptoms of peripheral neuropathy in diabetics. 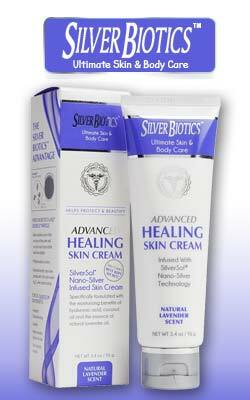 ALA improved symptoms such as burning, pain, numbness, and prickling of the feet and legs. It also seems to improve objective measures such as ratings of nerve function decline and disability. Symptom improvement occurs within three to five weeks with oral and intravenous dosing.12,13,14,15,16,17,18,19,20 Doses lower than 600 mg daily have not been shown to be effective.21 Furthermore, other research shows that ALA can also contribute to reducing blood sugar levels and insulin sensitivity.22,23,24,25 A daily dosage range of 600 mg to 1200 mg ALA is likely to yield positive results. Benfotiamin is a particularly well-absorbed form of vitamin B1. Double-blind research in diabetics demonstrated that oral doses of 400 mg daily resulted in a statistically significant improvement in neuropathy score in the treatment group compared to placebo. The most significant improvement reported was pain decrease in polyneuropathy (a type of peripheral neuropathy).28 Other research has demonstrated statistically significant effectiveness in reducing diabetic neuropathy pain with daily doses ranging between 150–320 mg benfotiamin.29 In addition, studies have also shown that benfotiamin in combination with other B vitamins is effective in the treatment of DNs.30 Best results will probably be seen with 400 mg of benfotiamin daily. Benfotiamin has a good tolerance profile without any adverse effects, and no established drug interactions. In double-blind research, taking oral doses of 360 to 480 mg GLA daily for six months to one year reduced symptoms and prevents nerve deterioration in peripheral neuropathy patients who have type 1 or type 2 diabetes.35,36,37,38 It seems to be more effective in patients with better glucose control compared to patients with poor glucose control.39 Take 360 to 480 mg GLA daily. It may take six months or longer for results. Orally, gamma-linolenic acid (GLA) can cause mild gastrointestinal effects such as nausea, vomiting, soft stools, diarrhea, flatulence, and belching.40,41,42 GLA might prolong bleeding time.43 GLA appears to have anticoagulant effects.44 Theoretically, taking GLA with other anticoagulant or antiplatelet drugs might increase the risk of bruising and bleeding. Orally and intramuscularly, vitamin B12 does not usually cause adverse effects, even in large doses. Limited case reports suggest that chloramphenicol (an antimicrobial drug) can delay or interrupt the response of immature red blood cells to supplemental vitamin B12 in some patients.48 A daily dose of 1500 mcg methylcobalamin is appropriate. Just in case you’re wondering, you can use any or all of these dietary supplements indicated at the same time. Other than the adverse reactions listed, there are none associated with the concurrent use of more than one supplement. Sima AAF, Calvani M, Mehra M, et al. Acetyl-L-carnitine improves pain, nerve regeneration, and vibratory perception in patients with chronic diabetic neuropathy: An analysis of two randomized, placebo-controlled trials. Diabetes Care 2005;28:89–94. Onofrj M, Fulgente T, Melchionda D, et al. L-acetylcarnitine as a new therapeutic approach for peripheral neuropathies with pain. Int J Clin Pharmacol Res 1995;15:9–15. De Grandis D, Minardi C. Acetyl-L-carnitine (levacecarnine) in the treatment of diabetic neuropathy. A long-term, randomised, double-blind, placebo-controlled study. Drugs R D 2002;3:223-31. Quatraro A, Roca P, Donzella C, et al. Acetyl-L-carnitine for symptomatic diabetic neuropathy. Diabetologia 1995;38:123. Ziegler D, Hanefeld M, Ruhnau K, et al. Treatment of symptomatic diabetic polyneuropathy with the antioxidant alpha-lipoic acid: A 7-month, multicenter, randomized, controlled trial (ALADIN III Study). Diabetes Care 1999;22:1296–301. Reljanovic M, Reichel G, Rett K, et al. Treatment of diabetic polyneuropathy with the antioxidant thioctic acid (alphalipoic acid): A 2-year, multicenter, randomized, double-blind, placebo-controlled trial (ALADIN II). Alpha Lipoic Acid in Diabetic Neuropathy. Free Radic Res 1999;31:171–7. Ziegler D, Hanefeld M, Ruhnau KJ, et al. Treatment of symptomatic diabetic peripheral neuropathy with the antioxidant alpha-lipoic acid: A 3-week, multicenter, randomized, controlled trial (ALADIN Study). Diabetologia 1995;38:1425–33. 15. Ruhnau KJ, Meissner HP, Finn JR, et al. Effects of 3-week oral treatment with the antioxidant thioctic acid (alpha-lipoic acid) in symptomatic diabetic polyneuropathy. Diabet Med 1999;16:1040–3. Ametov AS, Barinov A, Dyck PJ, et al. The sensory symptoms of diabetic polyneuropathy are improved with alpha-lipoic acid. Diabetes Care 2003;26:770-6. Ziegler D, Nowak H, Kemplert P, et al. Treatment of symptomatic diabetic polyneuropathy with the antioxidant alpha-lipoic acid: A meta-analysis. Diabet Med 2004;21:114–21. Negrisanu G, Rosu M, Bolte B, Lefter D, Dabelea D. Effects of 3-month treatment with the antioxidant alpha-lipoic acid in diabetic peripheral neuropathy. Rom J Intern Med 1999;37:297–306. Zeigler D, Schatz H, Conrad F, Gries FA, Ulrich H, Reichel G. Effects of treatment with the antioxidant alpha-lipoic acid on cardiac autonomic neuropathy in NIDDM patients. A 4-month randomized controlled multicenter trial (DEKAN Study). Deutsche Kardiale Autonome Neuropathie. Diabetes Care 1997;20:369–373. Tankova T, Cherninkova S, Koev D. Treatment for diabetic mononeuropathy with alpha-lipoic acid. Int J Clin Pract 2005;59:645–650. Sachse G, Willms B. Efficacy of thioctic acid in the therapy of peripheral diabetic neuropathy. Hormone Metab Res Suppl 1980;9:105–7. Konrad T, Vicini P, Kusterer K, et al. Alpha-lipoic acid treatment decreases serum lactate and pyruvate concentrations and improves glucose effectiveness in lean and obese patients with Type 2 diabetes. Diabetes Care 1999;22:280–7. Jacob S, Henriksen EJ, Tritschler HJ, et al. Improvement of insulin-stimulated glucose-disposal in type 2 diabetes after repeated parenteral administration of thioctic acid. Exp Clin Endocrinol Diabet 1996;104:284–8. Jacob S, Henriksen EJ, Schiemann AL, et al. Enhancement of glucose disposal in patients with type 2 diabetes by alphalipoic cid. Arzneimittelforschung 1995;45:872–4. Jacob S, Ruus P, Hermann R, et al. Oral administration of RAC-alpha-lipoic acid modulates insulin sensitivity in patients with type-2 diabetes mellitus: a placebo-controlled, pilot trial. Free Rad Biol Med 1999;27:309–14. Vincent HK, Bourguignon CM, Vincent KR, Taylor AG. Effects of alpha-lipoic acid supplementation in peripheral arterial disease: a pilot study. J Alt Complement Med 2007;13:577–84. Haupt E, Ledermann H, Kopcke W. Benfotiamine in the treatment of diabetic polyneuropathy—a three-week randomized, controlled pilot study (BEDIP study). Int J Clin Pharmacol Ther 2005;43:71–77. Winkler G, Pál B, Nagybéganyi E, Ory I, Porochnavec M, Kempler P. Effectiveness of different benfotiamine dosage regimens in the treatment of painful diabetic neuropathy. Arzneimittelforschung 1999;49(3):220–4. Head KA. Peripheral neuropathy: pathogenic mechanisms and alternative therapies. Altern Med Rev 2006; 11(4):294–329. Schalin-Karrila M, Mattila L, Jansen CT, et al. Evening primrose oil in the treatment of atopic eczema: effect on clinical status, plasma phospholipid fatty acids and circulating blood prostaglandins. Br J Dermatol 1987;117:11–9. Mansel RE, Pye JK, Hughes LE. Effects of essential fatty acids on cyclical mastalgia and noncyclical breast disorders. In Omega-6 Essential Fatty Acids: Pathophysiology and Roles in Clinical Medicine, ed. DF Horrobin. New York: Alan R Liss, 1990, 557–66. Puolakka J, Makarainen L, Viinikka L, Ylikorkola O. Biochemical and clinical effects of treating the premenstrual syndrome with prostaglandin synthesis precursors. J Reprod Med 1985;30:149–53. Pullman-Mooar S, Laposata M, Lem D, et al. Alteration of the cellular fatty acid profile and the production of eicosanoids in human monocytes by gamma-linolenic acid. Arthritis Rheum 1990;33:1526–33. Jamal GA. The use of gamma linolenic acid in the prevention and treatment of diabetic neuropathy. Diabet Med 1994;11:145–9. Horrobin DF. The use of gamma-linolenic acid in diabetic neuropathy. Agents Actions Suppl 1992;37:120–44. Jamal GA, Carmichael H. The effect of gamma-linolenic acid on human diabetic peripheral neuropathy: a double-blind placebo-controlled trial. Diabet Med 1990;7:319–23. Keen H, Payan J, Allawi J, et al. Treatment of diabetic neuropathy with gamma-linolenic acid. The gamma-Linolenic Acid Multicenter Trial Group. Diabetes Care 1993;16:8–15. Leventhal LJ, Boyce EG, Zurier RB. Treatment of rheumatoid arthritis with gammalinolenic acid. Ann Intern Med 1993;119:867-73. Guivernau M, Meza N, Barja P, Roman O. Clinical and experimental study on the long-term effect of dietary gamma-linolenic acid on plasma lipids, platelet aggregation, thromboxane formation, and prostacyclin production. Prostaglandins Leukot Essent Fatty Acids 1994;51:311–6. Yaqub BA, Siddique A, Sulimani R. Effects of methylcobalamin on diabetic neuropathy. Clin Neurol Neurosurg 1992; 94:105–111. Yoshioka K, Tanaka K. Effect of methylcobalamin on diabetic autonomic neuropathy as assessed by power spectral analysis of heart rate variations. Horm Metab Res 1995; 27:4–44. Ide H, Fujiya S, Asanuma Y, et al. Clinical usefulness of intrathecal injection of methylcobalamin in patients with diabetic neuropathy. Clin Ther 1987; 9:183–192. Tatro DS, ed. Drug Interactions Facts. Facts and Comparisons Inc., St. Louis, MO. 1999.